Make Up For Ever Holiday 2014 Sets & Kits | Top Beauty Blog in the Philippines covering Makeup Reviews, Swatches, Skincare and More! 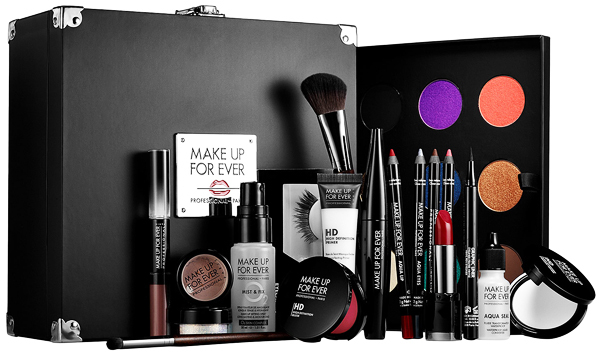 Make Up For Ever Holiday 2014 Makeup Station $300.00 ($662 value) (Limited Edition) - A makeup artist’s set for creating backstage looks and glamorous holiday style with 30 iconic bestsellers for eyes, lips, and the complexion. This ultimate Makeup Artist’s collection lets you create infinite looks for the holidays—and beyond. Featuring 30 professional must-haves for the makeup love, this set lets any artist explore and indulge in all the backstage essentials. Housed in a reusable, professional backstage Makeup Artist’s Case, this set includes primers, powders, eye, cheek and lip favorites, and Artisan Brushes. 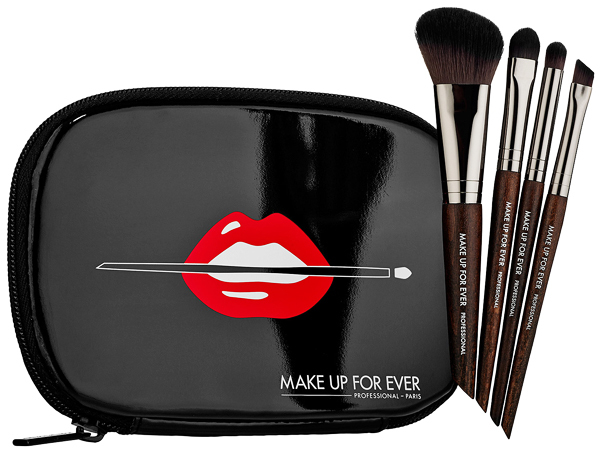 Make Up For Ever Holiday 2014 Travel Brush Set $65.00 ($111 value) (Limited Edition) - A set of four professional, handcrafted eye and cheek makeup brushes for home and on-the-go. This professional-quality brush set includes four must-have eye and cheek brushes for the most flawless, professional application. Perfectly portable, they’re handcrafted to give you extraordinary professional makeup application. Featuring the #150 Precision Blush Brush, #216 Precision Eye Blender Brush, #228 Precision Shader Brush and #172 Precision Corrector Brush, they are packaged in the MAKE UP FOR EVER signature pouch so you can be your own makeup artist. 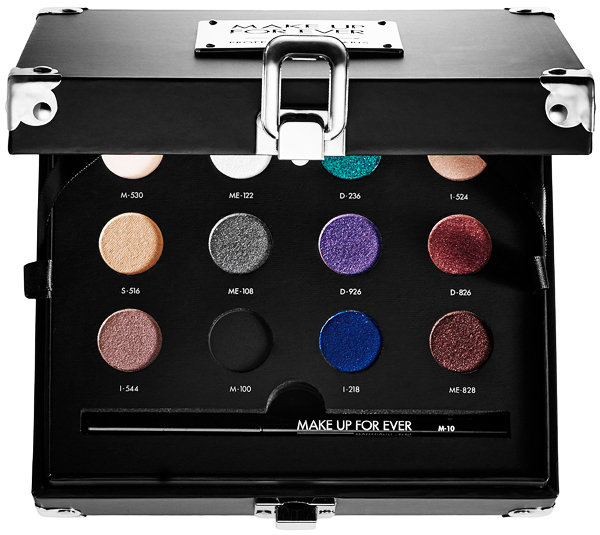 Make Up For Ever Holiday 2014 Studio Case $59.50 ($93 value) (Limited Edition) - A set of 12 Artist Shadows, a step-by-step guide, and a full-size of the Artist Liner for creating four holiday eye looks. Amp up your holiday look when you add drama with this Studio Case’s vivid color. This limited-edition palette features 12 Artists Shadows, infused with an innovative formula that provides both superior color pay-off and smooth blendability. The shadows are arranged in complementary trios as a guide for creating four specific eye looks: The everyday Natural, sultry Smoky, daring Bold, and sophisticated Chic. Top off your eye look with the rich black Artist Liner, perfect for precisely lining and defining, and the step-by-step guide helps you to create each signature look—all housed in a reusable signature makeup kit. 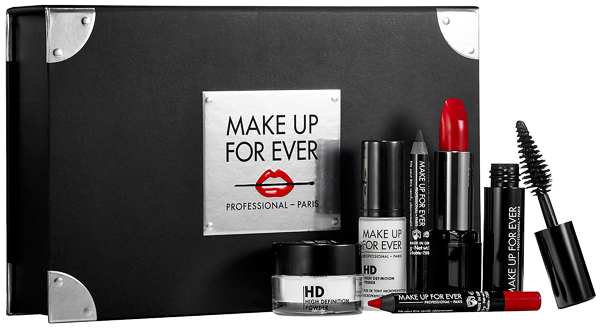 Make Up For Ever Holiday 2014 Beauty Kit $39.00 ($66 value) (Limited Edition) - A set of six bestselling makeup artist essentials in holiday colors for creating glamorous looks. Get a festive glow with this ultimate holiday Beauty Kit from MAKE UP FOR EVER. This limited-edition collection offers backstage must-haves for any makeup artist. The HD Primer achieves seamless makeup application, and eyes can get sultry, long-wear looks with deep black Aqua Eyes and Smoky Extravagant Mascara. Add a flash of holiday red with the bold Rouge Artist Intense lip color and Aqua Lip Liner. Top off the look with HD Powder Loose—all stowed away in a reusable signature makeup kit. That Holiday Makeup Station is totally fabulous! OMG the studio case is amazing! Oh, something from girl's dreams! ...lovely kits...I wish the studio case with wonderful eyeshadow!!! wooooow! I need it!! will go to sephora to check it noooooow!!! Really cool! I adore the red lipstick! Fantastic! The perfect set at anytime. Looks like an awesome set! Beautiful colors. wow!!! Such a gorgeous set!